You can always position your product in third party marketplaces like ClickBank and PayDotCom. They’re the most well-known markets for selling your products, but you also want to secure joint ventures directly with marketers who promote your niche topic, not wait for them to find your item on ClickBank. Start by listing as many sites as you can where there’s strong interest in your niche topic. That includes discussion forums, chat groups, membership sites, and Google groups. Don’t forget the social networking sites like Squidoo, Facebook and MySpace just to name a few very popular sites. Listen to the social conversation going on. Ask a relevant questions and pay attention to the answers. Do you get comments and ideas or recommendations for an information product and website with more details? From that information, go to the suggested sites. These are potential affiliate partners. 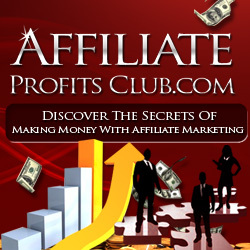 Even if you don’t see any affiliate products on their sites, contact them and propose an affiliation. It may be that the site owner is so focused on his or her niche that product affiliation wasn’t even considered. Or they may not know how this can work to their advantage for new business. You never know until you ask. When you discover another start-up site related to your niche, propose an affiliate JV opportunity. They may not have much traffic in the beginning, but you’ll grow with them. You can also propose a shared email campaign – agree to recommend their site to your list if they do the same for you with their list. Now, here’s one source that new marketers tend to avoid: highly successful sites. As soon as you see the big site with powerful affiliate partners, don’t think there’s no room for you. An established site has a large following and repeat visitors and the owner is always looking for ways to provide value and insight to his or her community. You can offer a special bonus or discount for the site owner. Identify the top 5 most influential people in your niche and study their websites. Look at their products and promotion methods. After a thorough analysis, contact their centers of influence and propose your product as an affiliate. Send your product for a review. Most new Internet marketers avoid the big guys thinking that people so well established in the niche wouldn’t bother with a newcomer. You might be surprised at the result of simply asking. Some of the biggest names in Internet marketing are great people who believe strongly in the “pay it forward” philosophy. Don’t hype yourself, tell it straight and ask for an opportunity. When you get the open door, you need to present your best quality product with excellent customer service so they feel comfortable sending their traffic to your site.